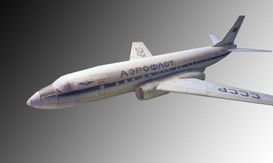 The Tupolev Tu-104 (NATO reporting name: Camel) was a twin-engined medium-range narrow-body turbojet-powered Soviet airliner. 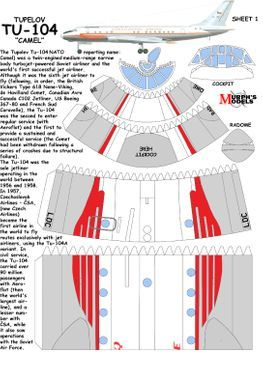 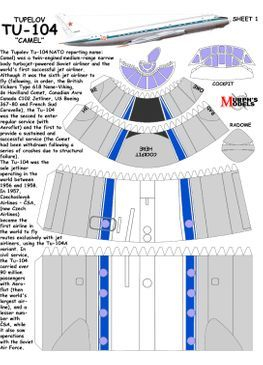 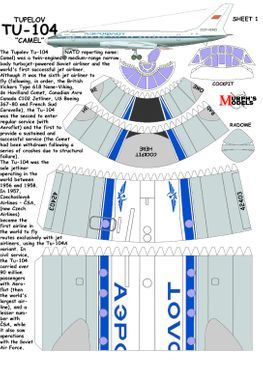 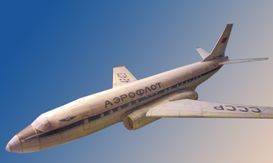 It was the second to enter in regular service, behind the British de Havilland Comet, and was the sole jetliner operating in the world between 1956 and 1958, when the British jetliner was grounded due to safety matters. 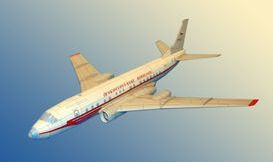 In 1957, Czechoslovak Airlines – ČSA, (now Czech Airlines) became the first airline in the world to fly a route exclusively with jet airliners, using the Tu-104A variant between Prague and Moscow. 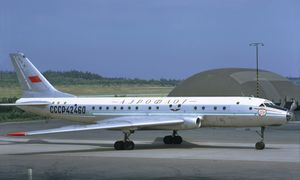 In civil service, the Tu-104 carried over 90 million passengers with Aeroflot (then the world's largest airline), and a lesser number with ČSA, while it also saw operation with the Soviet Air Force.